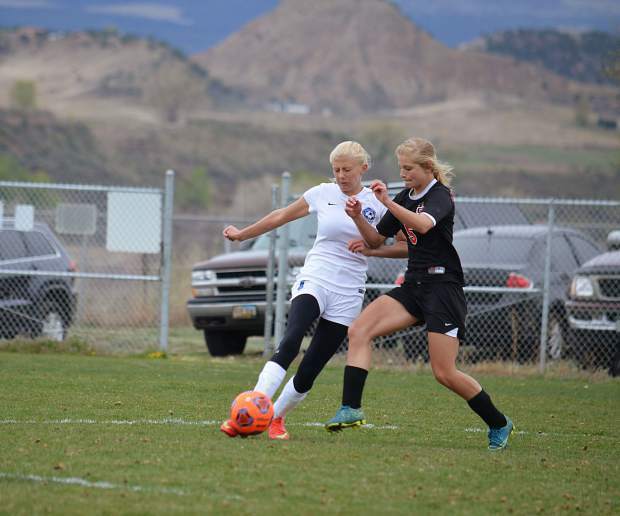 Hosting the Grand Valley Cardinals’ girls soccer team Saturday morning at “The Pasture” in New Castle, the Coal Ridge Titans’ girls soccer team used a five-goal second half to pull away for an 8-1 win in a 3A Western Slope League rivalry matchup between the two schools. Coal Ridge scored three goals in the first as junior Santana Martinez scored a goal to start the game before junior Emily Wright scored two goals, while Grand Valley got just one goal from standout sophomore Shaya Chenoweth to take a 3-1 lead into the half, but coming out of the break, Coal Ridge scored five unanswered goals to run away with the 8-1 win in league play as Wright capped off the hat trick, while senior Nicole Mooney, junior Sam Dunn, sophomore Adriana Vargas and senior Kaitlyn Harlow capped off the scoring on the day. With the win, Coal Ridge improves to 9-4, 7-1 3A WSL on the year. Grand Valley falls to 7-7, 3-5 3A WSL on the year. The Titans will host the Moffat County Bulldogs Tuesday at 4 p.m., while the Cardinals will host the Colorado Rocky Mountain School Oysters Tuesday afternoon. In a rivalry matchup Saturday morning in Peach Valley, the Coal Ridge Titans’ baseball team split with the visiting Basalt Longhorns in 3A Western Slope League play as Basalt won the first game by a score of 2-1 before Coal Ridge bounced back in the second game for a 6-2 win. In the first game, Basalt senior Michael Glen picked up the complete-game win, allowing just one earned run on seven hits while striking out three batters, while juniors Raul Torres and Alex Seibert picked up the RBIs on the day for the Longhorns. In the second game, Coal Ridge busted out in a big way offensively, scoring four runs in the first inning and two runs in the third inning before hanging on for the 6-2 win over the rival Longhorns, limiting Basalt to just five hits on the day. Jared Whitaker pitched four innings for the Titans, allowing two earned runs, while Tyler Slone came on in relief and pitched three innings, striking out four to shut down the Longhorns. With the split of the doubleheader, Coal Ridge improves to 7-9, 4-3 3A WSL on the year, while the Basalt improves to 6-9, 3-4 3A WSL. Coal Ridge will host Olathe Tuesday afternoon, while Basalt will host Moffat County on Tuesday. 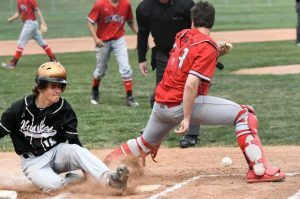 On the road for a 4A Western Slope League matchup with the Battle Mountain Huskies Saturday, the Glenwood Springs Demons dropped game one 7-2 before bouncing back in a big way in game two to win 18-4, splitting the doubleheader. In the second game, Glenwood scored eight runs in the second inning and six runs in the fourth inning to bust open the game, rolling to the 18-4 win. Ethan Ryan and Chano Gonzales picked up two hits each for the Demons, while Tristan Howe and Cooper Cornelius added one hit each as Gonzales led the way with three runs batted in. Pitcher Davis Deaton picked up the win in game two for the Demons, pitching two innings while striking out four for Glenwood. With the split in the doubleheader, Glenwood improves to 7-10, 4-7 4A WSL on the year. The Demons will host Roaring Fork Monday afternoon at 4 p.m. 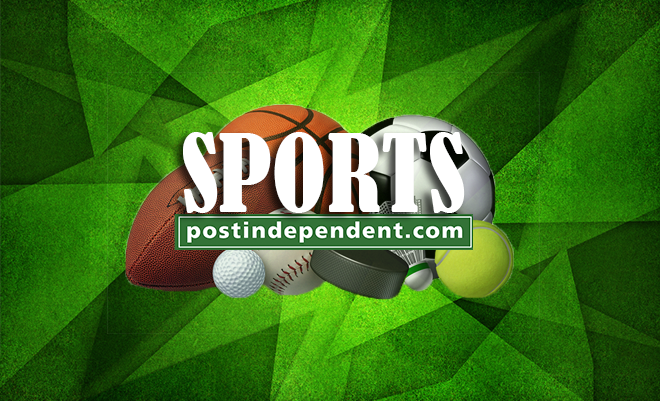 Taking on the Olathe Pirates Saturday in Olathe, the Roaring Fork Rams turned in an eight-run inning against the Pirates to bust the game wide open in a 13-3 win. In the eight-run fifth inning, senior Aldo Pinela came up with the big hit, crushing a three-run homer for the Rams to pace the offense, while the Rams turned in five doubles as a team. On the mound, sophomore Dawson Kuhl started the game for the Rams, holding Olathe to just three runs before junior Drew Broadhurst came on in relief and dominated the Pirates, keeping them at bay before the 10-run rule kicked in. With the win, Roaring Fork improves to 6-8, 3-3 3A WSL on the year. The Rams travel to Glenwood Monday afternoon for a matchup with the Demons. On the road for a matchup with the Eagle Valley Devils Saturday morning, the Rifle Bears had a rough go of things in the doubleheader, dropping game one by a score of 4-3 before coming up short in a doubleheader in game two, dropping a 8-7 decision. In the second game, senior Gabe Marbas recorded three hits, while fellow seniors Blaine Vance and Drake Montgomery added two hits each. Marbas started game two and worked through four innings, allowing five earned runs before Montgomery came on in relief and worked two innings, allowing two unearned runs, but the Rifle comeback attempt came up short in the final inning. With the sweep at the hands of Eagle Valley, Rifle falls to 11-7, 7-4 4A WSL on the year. 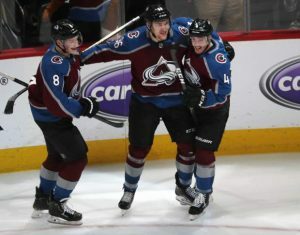 The Bears will host Palisade Wednesday night at 6:30 p.m.